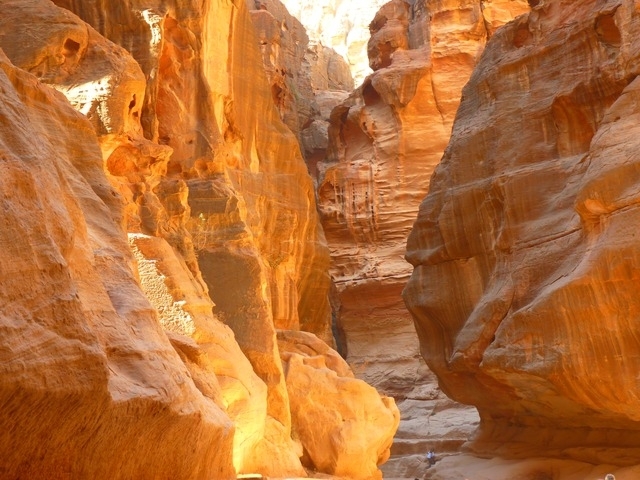 Entrance to the city of Petra is through the Siq, a narrow gorge, over 1km in length, which is flanked on either side by soaring, 80m high cliffs. Just walking through the Siq is an experience in itself. The colours and formations of the rocks are dazzling. As you reach the end of the Siq you will catch your first glimpse of Al-Khazneh (Treasury). 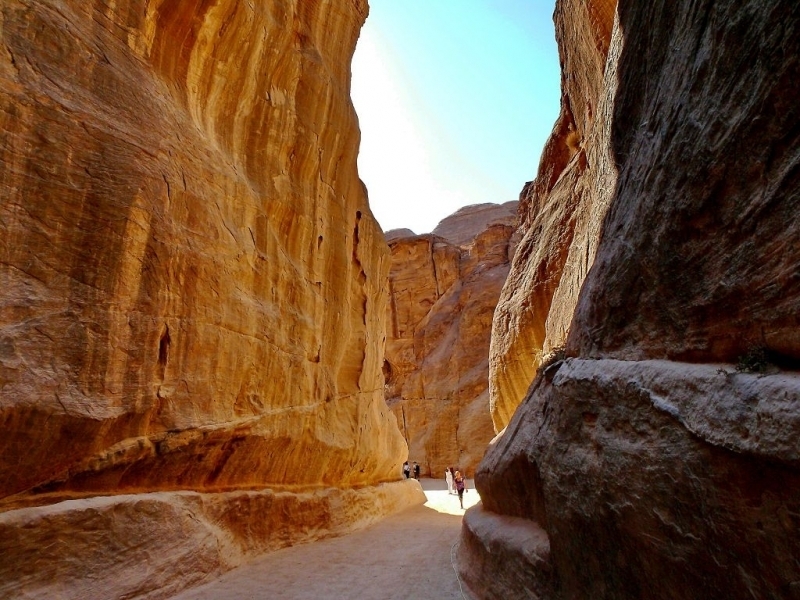 The long walk through this canyon is an exciting journey that is well worth a visit, not only for the historical treasures that lie beneath, but also for being one of the unique geological landscapes in the World. Carved out of pale reddish sandstone, the eastern side of this area is bounded by the King's Wall.